Double Check, the bronze statue of a busy executive that has resided since 1982 in Zuccotti Park, has moved across the street, and is now perched at the northwest corner of Broadway and Liberty Street. This is just one among many mobile pieces in Lower Manhattan’s inventory of public art. 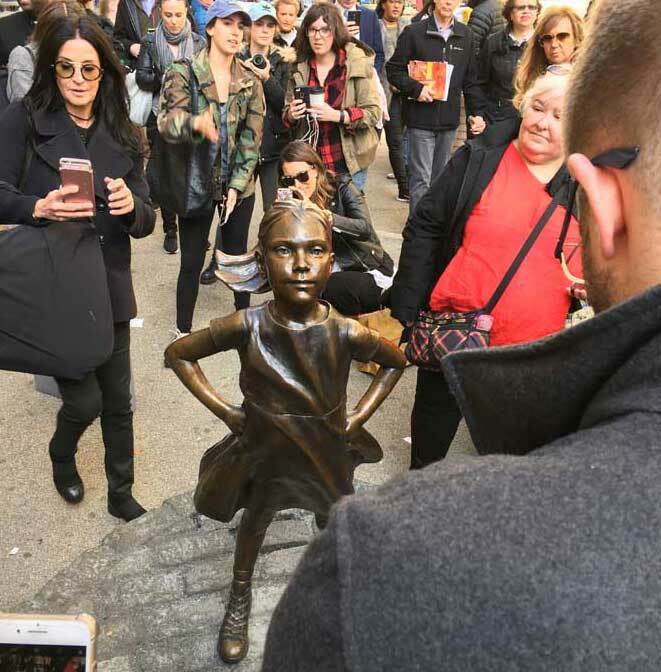 Fearless Girl, the bronze by Kristen Vabal that attracted much attention in 2017 when she appeared in front of Charging Bull on Bowling Green, was moved last November to a new roost in front of the New York Stock Exchange. 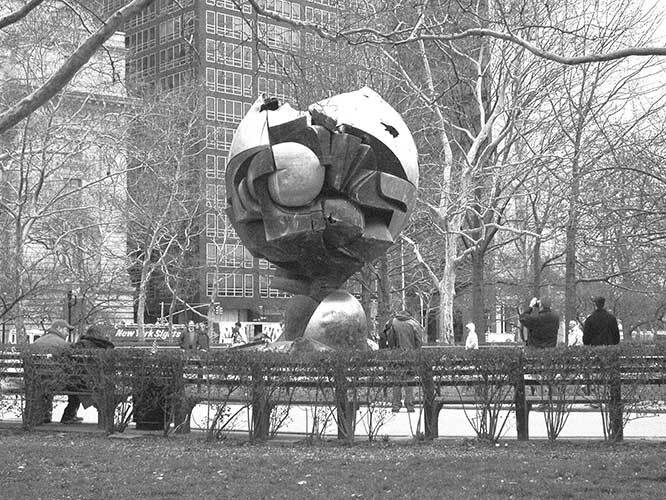 And Fritz Koenig’s The Sphere migrated from the Battery to Liberty Park in 2017. 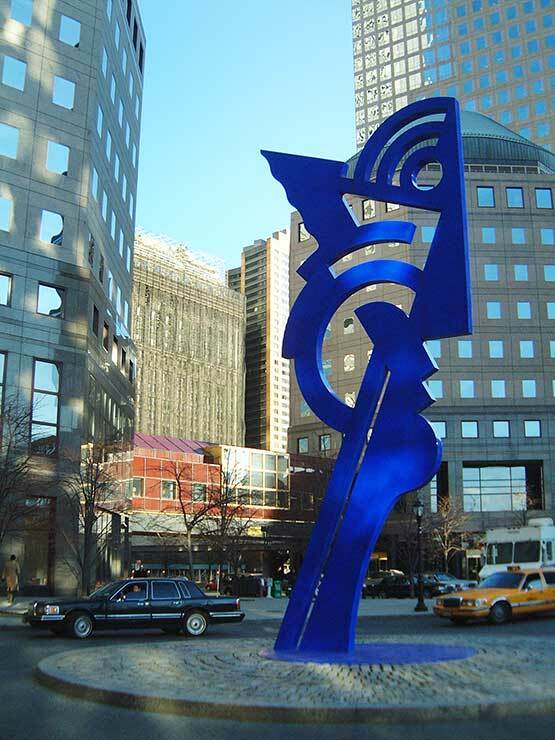 But the fartherest flung erstwhile object is Modern Head, a 31-foot-tall stainless steel piece by Roy Lichtenstein, that once stood amid the traffic circle at Liberty Street and South End Avenue. It now resides outside the Smithsonian American Art Museum, in Washington, D.C.